5 Reasons Why Co-Working Spaces Are Great For Your Next Event. Nowadays it seems like a troublesome task finding the right venue for your next event may it be a corporate meeting or a private showcase. With the creation of Co-Working Spaces however in Malaysia, many options have been added to the list of venues available for event planners. Here are 5 Reasons why these Co-Working Spaces currently have the edge over their competition. What most planners and businesses are looking for when it comes to venue is the price. Venues with a great space usually are established and thus have a bigger cost. However, since Co-Working Spaces are on the come up and a relatively new concept in Malaysia, prices for their venues are at a very competitive rate. If you are planning an event or meeting that has less than 100 people, it is advisable to search for your nearest Co-Working Space first as they would provide a better rate than established venues. 2) A year or an hour? Whether you would like to use the space over a long span of time or only once, Co-Working Spaces provide the flexibility of planning events by not limiting you to any unnecessary commitments. 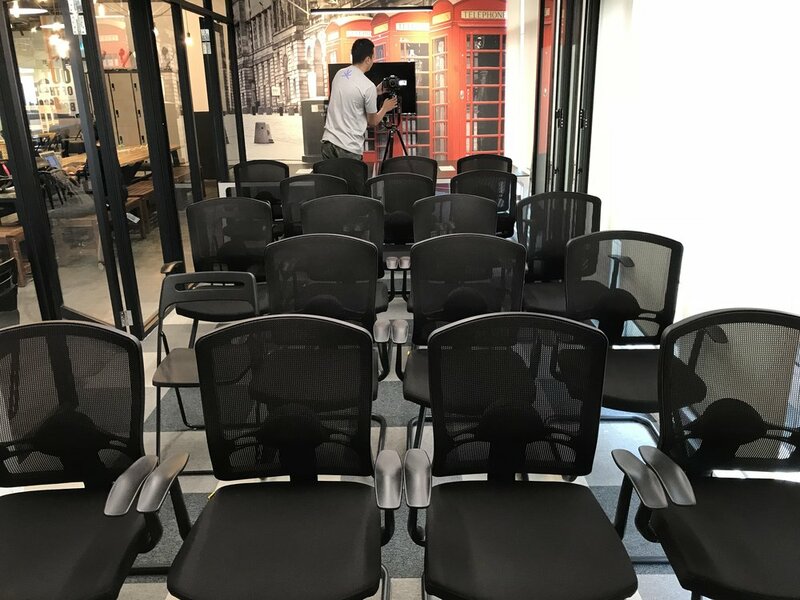 Understanding the constraints of event planning in general, this means even if your event is only for a couple of hours or if you wish to hold weekly/monthly workshops, Co-Working Spaces usually allow you to host them without any hassle! While most small companies decide to hold their meetings or events at cafe or home, there is no substitute for a more professional setting. Co-Working Spaces are usually disregarded as just offices for rent however this could not be any more false. These spaces cater to all types of people whether they wish to stay long or short term and as such contains state of the art facilities to help make sure your event goes smoothly. Whether it is a better sound system, a projection system or overall cleanliness; a Co-Working Space can provide something more that your home cannot. What’s great about Co-Working Spaces as opposed to other venues is that they are already waiting for you. Most of the meeting rooms and event spaces are already set up and filled with the amenities needed to make your next event great for you. By giving them a call, you can easily book your event or meeting on the fly as most Co-Working Spaces are flexible and willing to accommodate. Or contact us to book a FREE tour at Sandbox Space and we’ll show you how our event and meeting space can help you thrive professionally! With this simple, yet satisfying launch, we are hopeful that 2018 is going to be a great year for the coworking community in suburban KL. We dream that, with Sandbox, we bring together a passionate community of individuals with big dreams. It’s time to go live!